Home >> Generated from JAN's SOAR Information System on 4/21/2019 12:14:30 AM. The Viper Plus GT Full Reclining Wheelchair from Drive Medical is the perfect solution for anyone looking for a high-end reclining wheelchair. 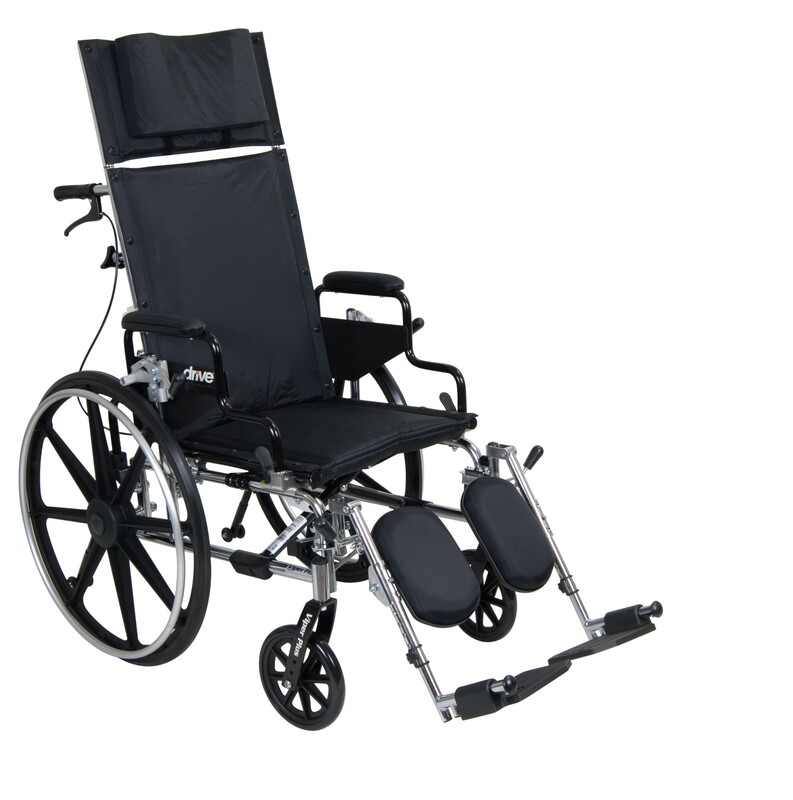 Loaded with features, this reclining wheelchair can fit almost any need. The seat rail has exclusive telescoping technology that allows the depth of the chair to be adjusted from 16" to 18" in seconds, requiring no additional upholstery or components, making room for a backrest or just some extra space for larger users. The padded, flip-back arm rests provide easy transfer, without having to detach an arm. The Viper Plus GT Full Reclining Wheelchair is lightweight and easy to maneuver, making it the right choice for anybody in need of a wheelchair.